Concept albums are ten a penny. Lots of bands have tried to tell a story, and there’s a small number that have succeeded in getting it right…Pink Floyd, Ayreon, Queensryche, and Dream Theater will appear at the top of many a fans list. For me, Amadeus Awad needs adding to this list. For those not in the know Amadeus Awad has already released a few nuggets – “The Book Of Gates” and “Schizanimus” being just two recent ones. A mere nine months after ‘The Book Of Gates’ comes ‘Death Is Just A Feeling’. The guy is releasing albums like it’s the 1970s all over again. ‘Death…’ is a personal account, and one that eclipses any of his work to date. I’ve never been anywhere near a hurricane but I can imagine from what I have read, and that listening to ‘DIJAF’ is akin to placing yourself in the eye of the storm. A calm and stillness is present, yet all around you, ‘DIJAF’ is an all encompassing entity, a whirlwind of music, surrounding your senses; and its got THAT VOICE! It opens up with Arjen Lucassen saying, “Right where it ends”, after which we have a narrator (Dan Harper) basically declaring that “he does not know what love is”. So, ‘Opia’ gently unfolds and draws you into its story. I think of it in a similar way to Dream Theaters ‘Scenes From A Memory’, only this album is two thirds in size. I imagine that Anneke Van Giersbergens vocals are not for everyone. Not for me, as I hang onto every word and phrase. ‘Sleep Paralysis’ is where ‘DIJAF’ really kicks into gear, it’s a dark, brooding piece that you would expect from a title like ‘Sleep Paralysis’. AVG vocals here are almost hypnotic, lulling you into sleep and when coupled with the acoustic, guitar, Hammond, and Marco Minnemann’s sublime drumming, the end result is dramatic and captivating. Such is the level that you are being drawn in, you hardly notice the change in track (‘Monday Morning’), the narrator asking a lot of life questions before an intensely powerful instrumental acoustic passage, that just glides by. Ostura’s Elia Monsef steps up to the mic for ‘Tomorrow Lies’. The whole piece you can feel is building gradually with each passing song. Monsef adds passion and depth to the sorrowful and searching lyrics. 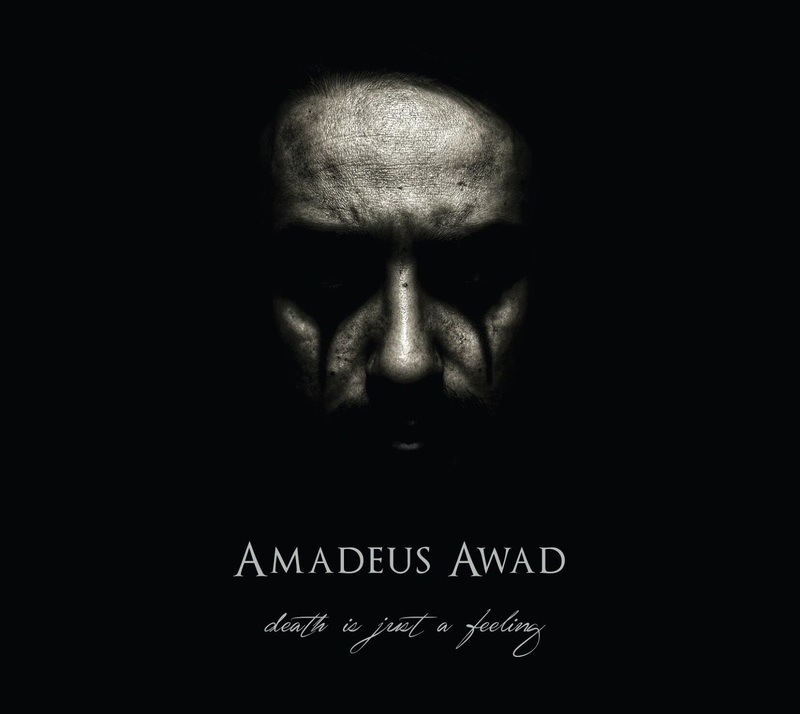 Amadeus Awad knows not to overplay and just throw tons of tones at you, there a nice slide guitar playing subtly underneath the vocals, with a nicely constructed guitar solo played with slabs of emotion. Like I stated earlier, I felt it was all building to a crescendo, and that crescendo comes in the form of AVG and the longest track, ‘Lonesome Clown’. Not only is it the longest, but also the finest track. AVG’s lilting vocals are conveyed with sadness, but beautiful tone...”Death is just a feeling that you’re never coming back”. It’s in this middle section when the instrumental lies that the track really takes off, synth vs guitar combining to make an expansive piece. Its up one moment, down the next, with Minnemann’s playing surrounding Awad’s excellent guitar soloing. ‘DIJAF’ soon gets to its last track, ‘Temporary’. Only there is nothing temporary about it. Arjen Anthony Lucassen makes a rare appearance as a vocalist, and despite his lack of vocals in anything Ayreon, proves that he can hold his own. It’s a departure from everything before, and is more upbeat and positive. The song finishes with a lengthy instrumental piece with Lucassen having the final word…”I want the whole universe to know that The story begins…” and takes you right back to his opening words…”Right where it ends”. All in all it’s not a long album, at just under 45 mins. To have a great concept album, or any album, doesn’t mean it has to fill up a cd or two. The length is the length, and in this case ‘DIJAF’ takes you on a compelling story in a fleeting moment and it just flies by to the point where you want to take it in all over again. Amadeus Awad has turned out some compelling pieces of work these past few years, but none is quite as good as this. If you want to take a trip to the dark side and come out illuminated, then this is what you’ve been looking for….